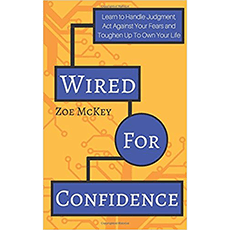 “Wired For Confidence” offers steps to develop your self-esteem, raise your expectations, and assert yourself in life. It is designed to help you face your fear of failure and judgment. It also includes real-life examples, stories, and lessons to prepare you for confident change. Chapter 2: What Is More Important Than Confidence?